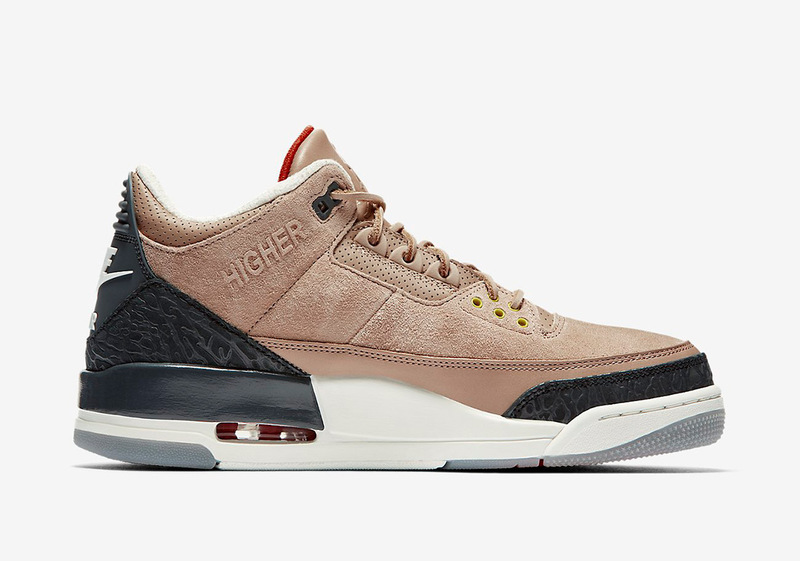 With the release of Justin Timberlake‘s hotly-anticipated Air Jordan 3 JTH “Bio Beige” slowly but surely drawing closer, a set of official images of the collaborative sneaker have surfaced. 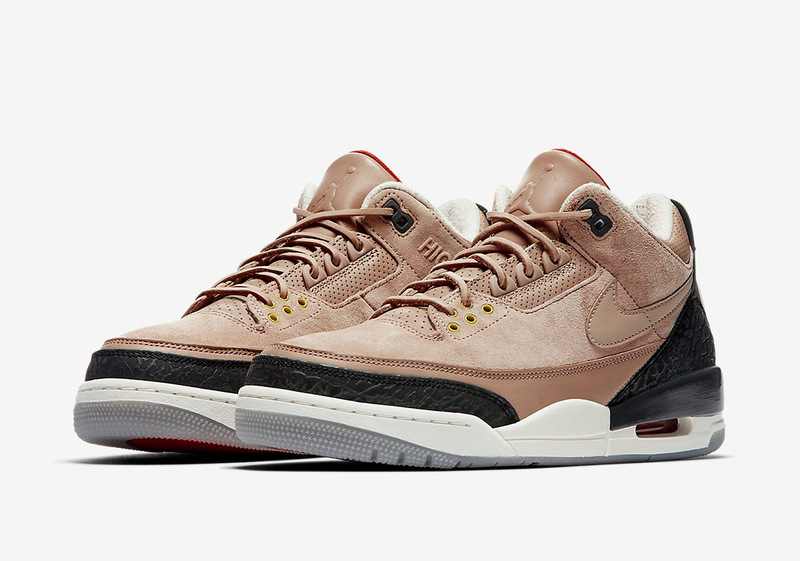 The updated take on the classic Jordan 3 features a luxe tan suede upper with a reflective tan swoosh, while contrast arrives courtesy of the black elephant print on the toe/heel and the two-tone white/black midsole. 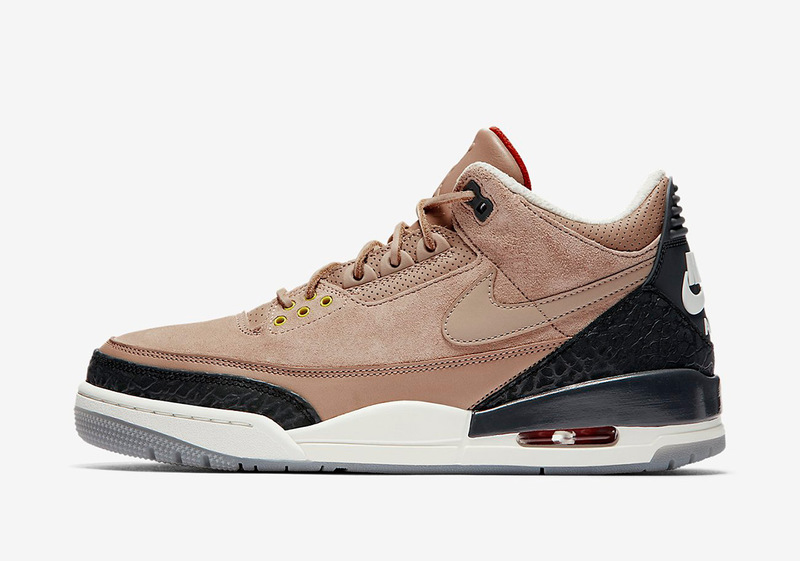 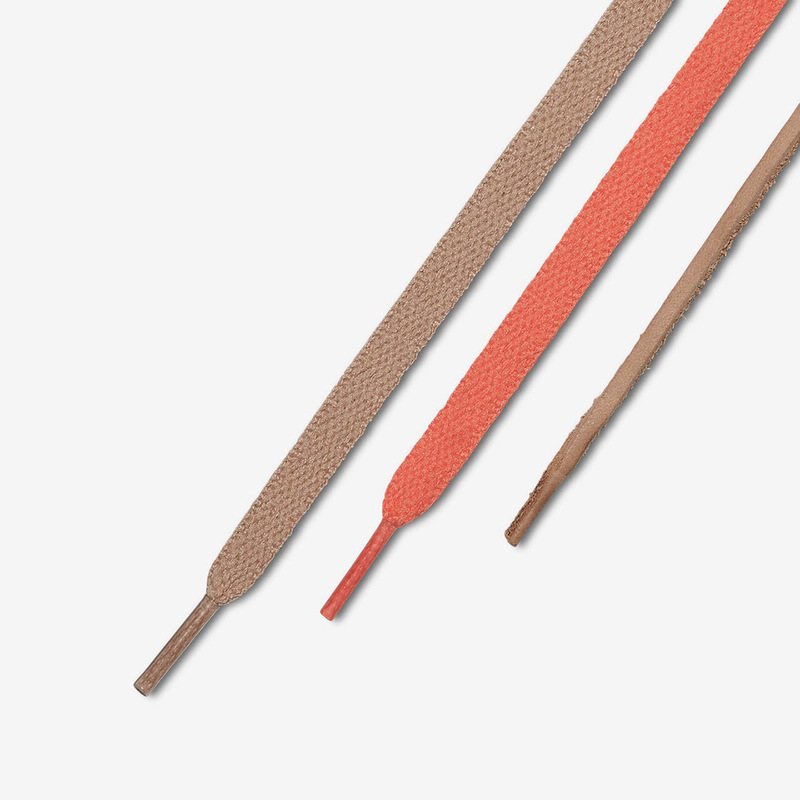 Raw-hemmed leather laces replace the 3’s standard flat version, and yellow lace holes towards the bottom of the throat provide a cheeky contrast with the upper’s heavy use of earth tones. 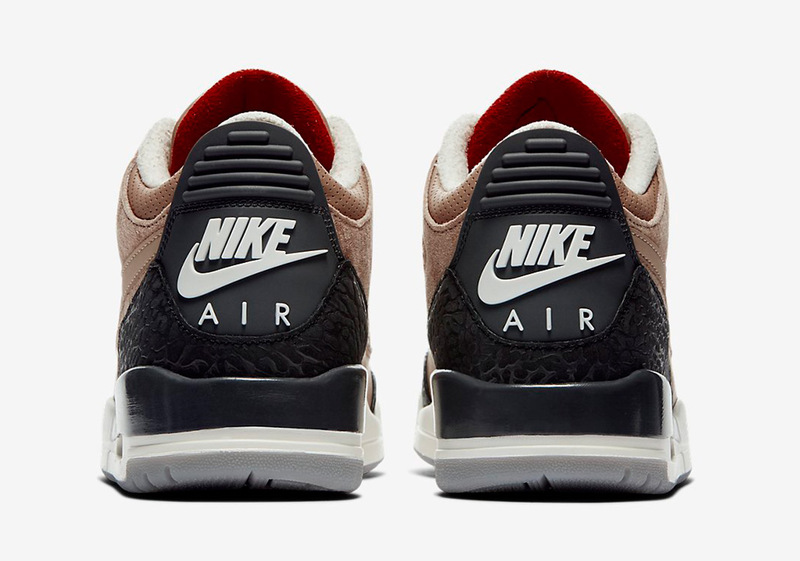 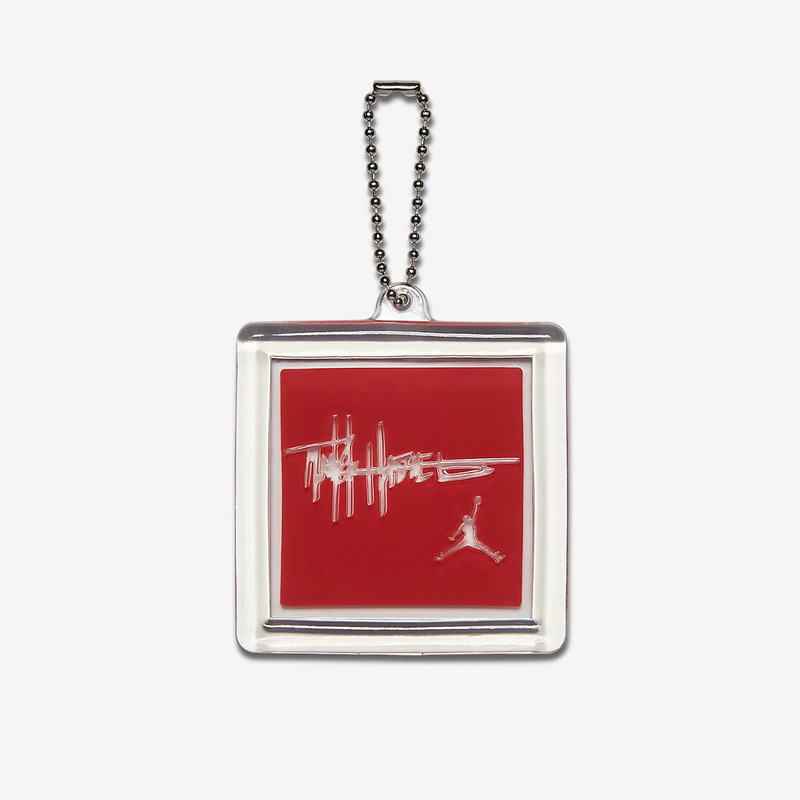 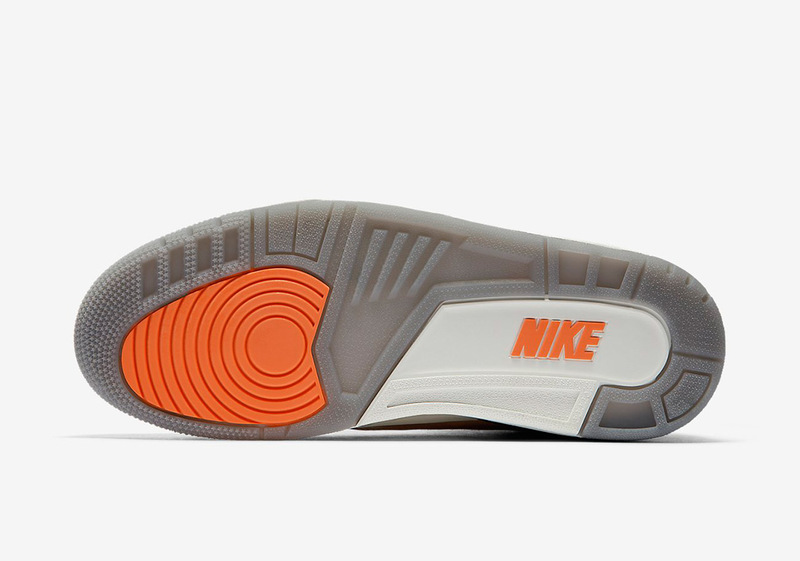 A classic Jordan 3 heel tab featuring Nike Air branding provides retro style, while Timberlake and Tinker Hatfield’s signatures adorn the inside of the shoe’s tongues. 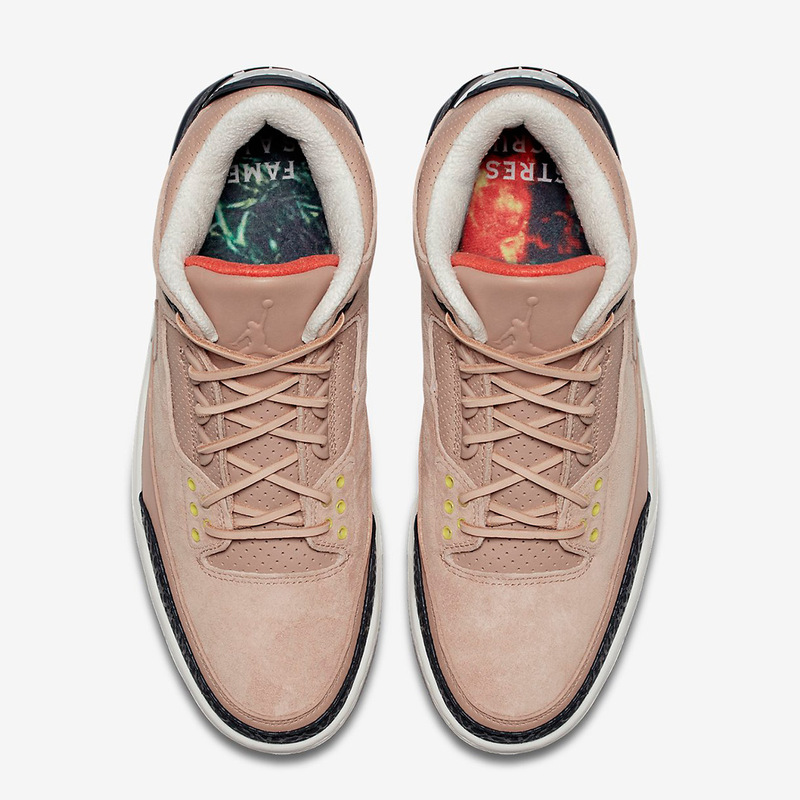 However, these shoes are more than just a straightforward collaborative take on the Jordan 3: they also feature several Timberlake-inspired details that relate to the fifth song on his recent Man Of The Woods album, “Higher Higher.” An embossed tonal “HIGHER” hit on the medial side of the heel collar is featured prominently,and each shoe features a customized insole with lyrics from the song: the left shoe features a fiery red graphic with “Stress Is Cruel” emblazoned on the heel, while the left opts for a green grass print and “Fame Is A Lie.” The shoe is completed with a plethora of lace options and a unique accessory: extra sets of flat laces—both tan and grey—are included, and the 3’s usual Jumpman hangtag is replaced with a version that features Tinker Hatfield’s signature. 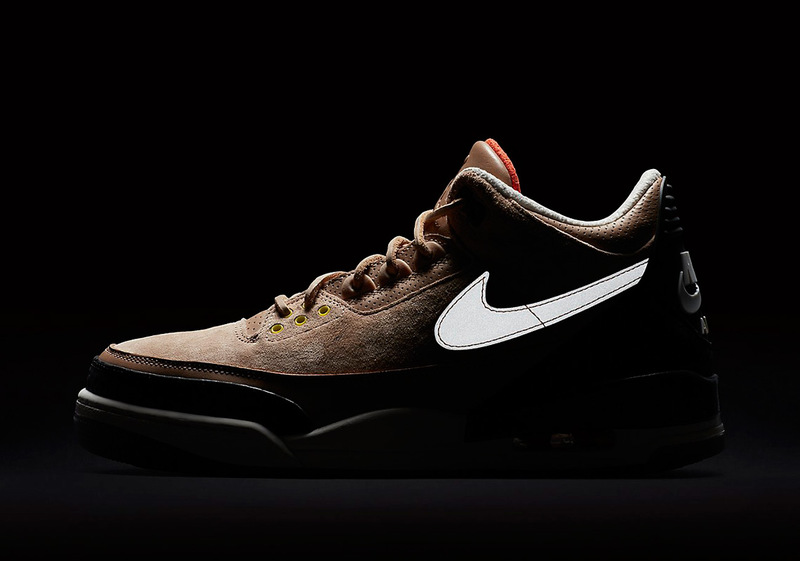 For a final “Man Of The Woods” touch, the shoes also come packaged in a special co-branded box. 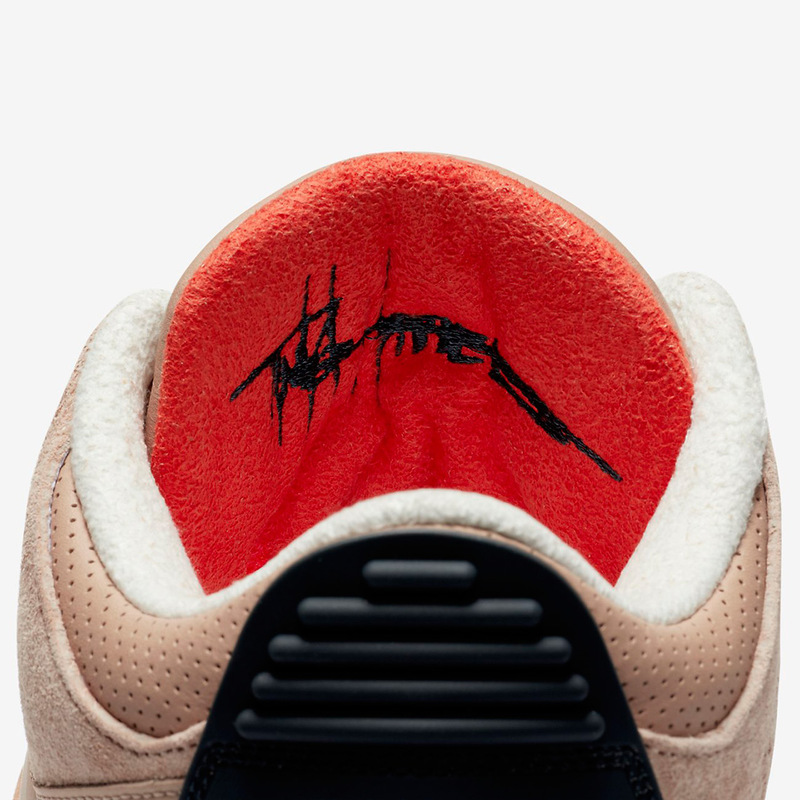 Enjoy a full image set of the collaborative shoes below, and look for the “Bio Beige” JTH 3s to release August 28th, with an MSRP of $200.